Allahabad High Court(U.P) Are Invited to Online Application Form for the Many Posts Junior Clark, Drivers,Stenographers, Liftman, Peons, And Other Posts in Civil Court Sub Court Uttar Pradesh In 2017, Those Candidates Are Interested and Completed the All Eligibility Feilds So Please View the Full Notification Before Apply Online Application Form. 1. Applicants can get ADMIT CARD in an easy way through a click in the following important link below. 2. 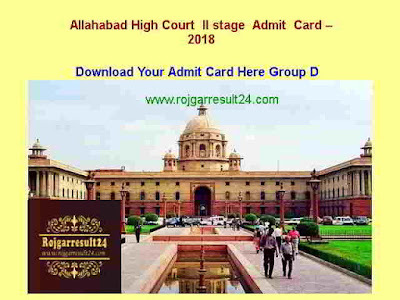 After visiting the main page of the organization’s website, click on the applicant Allahabad High Court Admit Card 2018. 8. Applicants who have filled online form, click on the official website of Allahabad High Court.